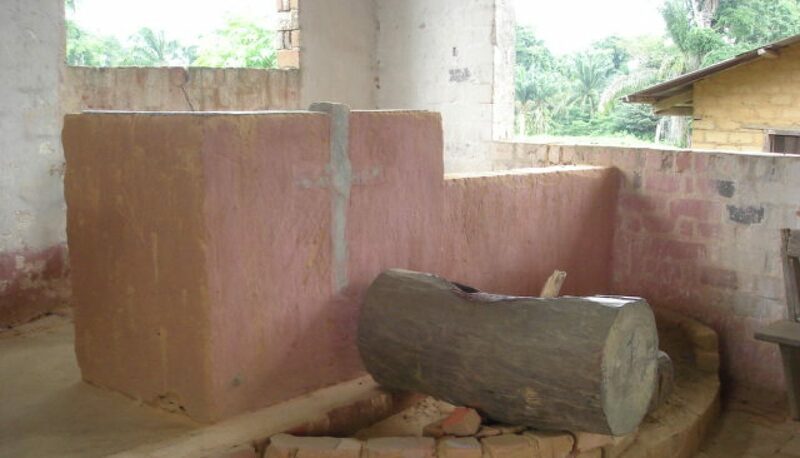 Like the “lokole” drum or “bush telegraph” of the Congo villages, this blog communicates news of church and society from the Democratic Republic of the Congo. Sources of the news will range from Africa news services to recent visitors to the Congo to you the reader. For translation into French the web site http://www.lexilogos.com/english/french_translation.htm is recommended. And for Spanish, the three translation options presented on http://www.spanishdict.com/ are helpful. You are invited to contribute anything on Congo you would like to distribute through the Lokoleyacongo.wordpress.com blog network. Send an email to dougnslp@gmail.com with your article, commentary, book review, etc. etc. Whatever goes beyond a “comment” should be sent to the email address. The Archives of the blog include the May through August 2010 postings by Doug Smith while preparing for and during his stay with the Community of the Disciples of Christ of Congo (CDCC-10) of the Church of Christ of Congo (ECC) in Mbandaka, R.D.C. I’m going to be keeping a journal for the trip that Indiana Disciples will be making to Mbandaka in May 2011. This will be continuing the partnership we have formalized with the Mbandaka Poste of the 10th-CDCC. Feel free to put a link to this site if you think it will be helpful. Yes Susan, I’ve added your blog site to the links and also signed in as a follower. Subscribe to lokoleyacongo blog by clicking on the subscribe button on the right of the home page. Doug, I’m going to learn so much from your blog on the Congo. I’m so grateful for what you’re doing with your life, and for your leadership at my Dad’s memorial service. We hope to stay in touch in future years to support your ministry. This electronic bush telegraph is coming to you from Houston. Hope you got my recent letter of thanks! Thanks so much for your encouraging words Dan. It means a great deal to me. I guess finding useful, reliable inamioftron on the internet isn’t hopeless after all.